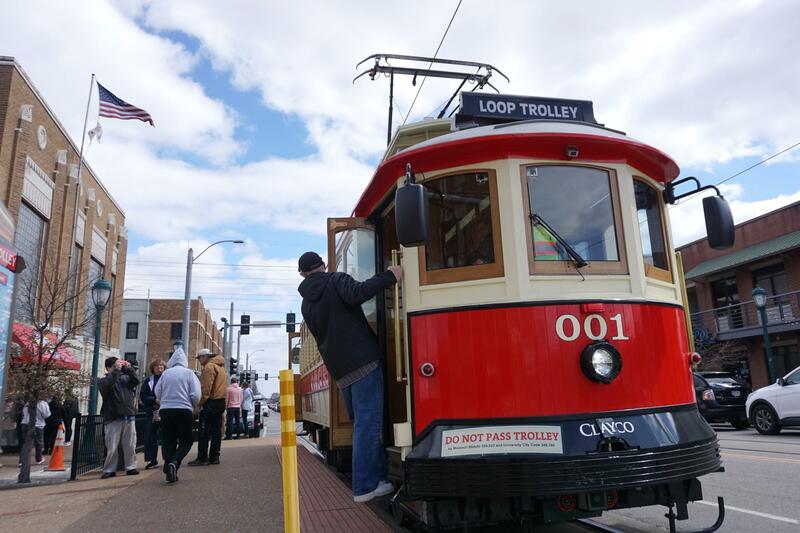 The Loop Trolley currently operates Thursdays through Sundays, beginning at noon. Thursday’s St. Louis on the Air featured a discussion about the latest developments and challenges along the eight-block Delmar Loop entertainment, dining and shopping district located in University City and the city of St. Louis. Joining the conversation with executive producer Alex Heuer was Rachelle L’Ecuyer, executive director of the Delmar Loop. The segment also included pre-recorded comments from passersby, business owners, a Loop Trolley rider and St. Louis University's Bob Lewis, who is an assistant professor of urban planning and development.